Want to listen to music as if your favourite band is playing in your living room? Then there are few better options than a Sonos wireless speaker. The American audio manufacturer’s products always look great, work effortlessy with your smartphone and, most importantly, boom out your tunes with dazzling finesse. Trouble is, Sonos makes a fair few speakers these days. 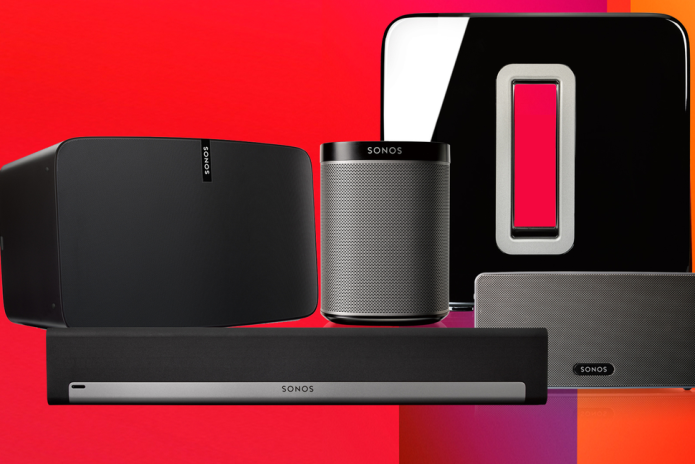 From the compact Play:1 to the luxurious Playbar that’ll boost your TV’s sound quality, you may well be wondering which Sonos is right for you. Don’t worry, we’ve reviewed the best of them to help you decide. With our help and the abuse of a few volume buttons, you’ll be annoying the hell out of your neighbours in no time.